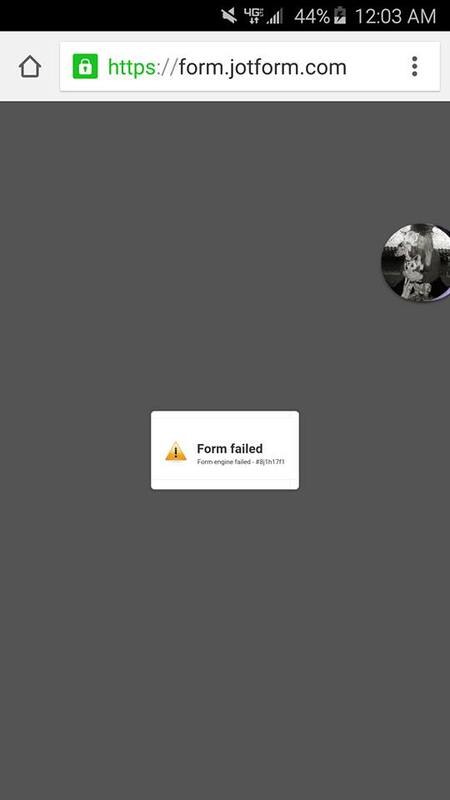 Why isn't my form link working when I publish it? I got the error code #8j1h17f1 when clicking the link to my form. Will you please explain to me what this means and how to fix it? Thank you. There was a problem with our form caches database. The server is failing. We have ordered a new one and until the new one is ready we have to manually fix it when it fails. Your form should now be working properly. If it does not please let us know the exact URL for the particular form.